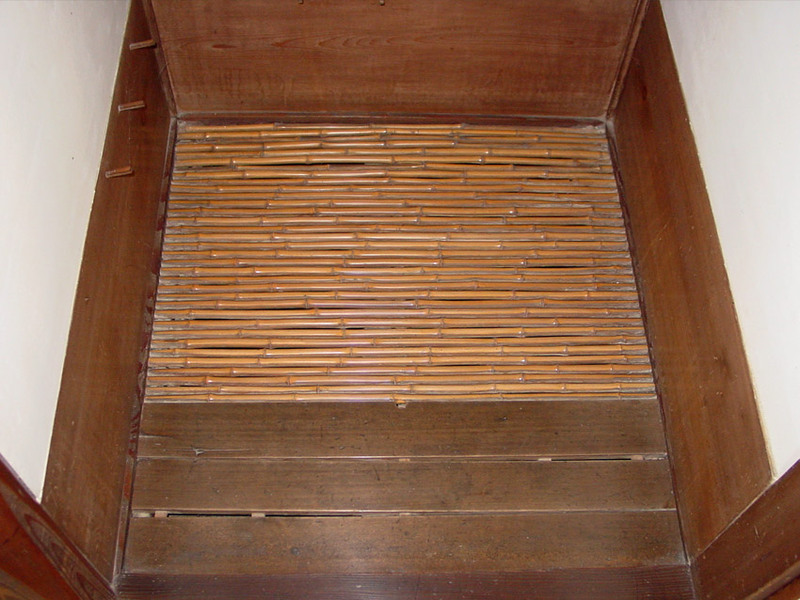 A slatted floor or duckboard floor made of boards or bamboo laid parallel with space between, Each board is called sunoko-ita 簀子板. Sunoko have many uses. Sometimes it is used for a kitchen *mizuya 水屋 sink in a tea ceremony house *chashitsu 茶室 or on the floor of a bathroom yokushitsu 浴室. When used as a veranda with a slatted floor it is called sunokoen 簀子縁 or 簀縁. During the Heian period exterior verandas were made of narrow boards with spaces in between to allow for the run-off of rain. The slats were often 12cm.sq. timbers or thick, widely spaced duckboards. Sometimes narrow boards alternate with whole bamboo with spaces in between to create veranda flooring. Duckboard verandas may also be made of closely laid bamboo entwined with wisteria vine. These elaborate arrangements were provided at the entrance of a nobleman's dwelling built in the sukiya style *sukiya-zukuri 数寄屋造, and beyond were the translucent sliding screens *shouji 障子 constructed in the shoin style *shoin-zukuri 書院造. Some folk dwellings *minka 民家 contain a room with bamboo laid close together but with a small space between them. 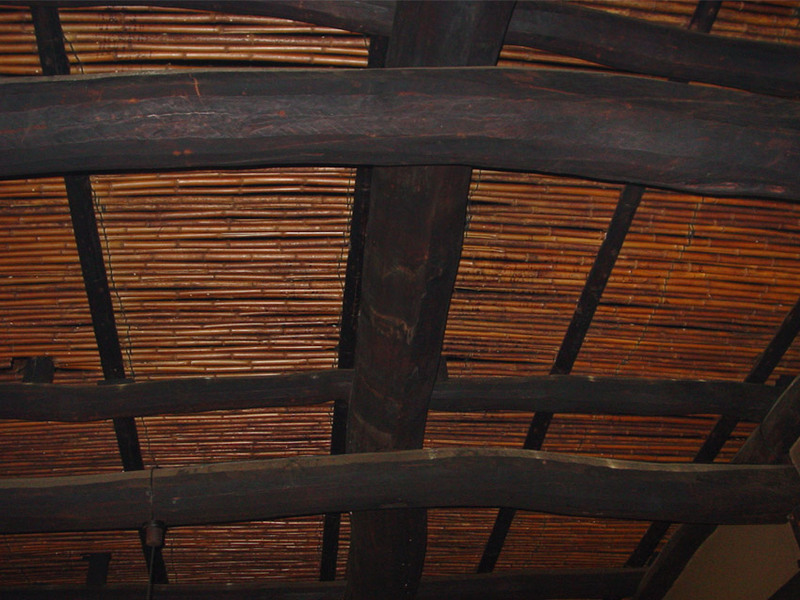 Ceilings in folk dwellings are made with mats of small or split bamboo, ditch reed etc. and are called sunoko tenjou 簀子天井. These are coarsely woven and spread over the ceiling beams. Straw mats may be laid over them. An article in the TAMON-IN NIKKI 多聞院日記 (dairy; 1586) records the oldest example found in the dwelling of Kon'ya Saijirou 紺屋才二郎 of in Nara.